Swan Valley Wineries Tours - Sit back, relax and let witness why this region is a world of surprises offering the sampling of fancy, premium, award-winning wines while indulging in gourmet cuisine and enjoying sweeping views of the vineyards. 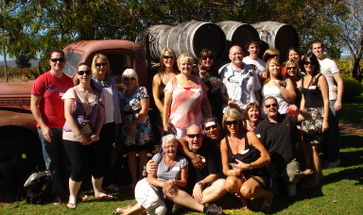 A tour of the Swan Valley wineries is a great way to experience the best that this Western Australian area has to offer. Our Swan Valley wine tour guides are friendly, courteous and knowledgable, ensuring that you have much more than just the run of the mill winery tour. Daily indulgence tour group numbers are kept to a minimum, so you get to know other interesting and fun loving people whilst sharing the many varied tastes on offer. Relax in the morning and start the day of touring later with this afternoon tour of the Swan Valley. 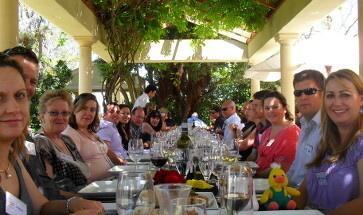 A great tour to taste some wines when short on time! Explore the best of the Swan Valley as we sample our way through a day full of indulgence! Don't plan a big dinner after this tour, that's for sure! 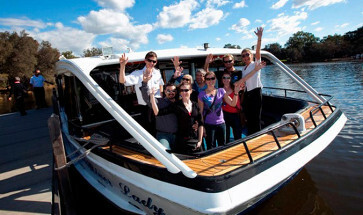 Cruise along Perth's Swan River before being taken by coach through the lovely Swan Valley to taste your way through the best the region has to offer!